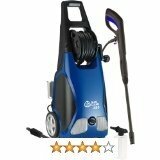 Dry vapor steam cleaner reviews of different units covered here reveal the advantages of vapor steam cleaners over ordinary steam cleaners and hot water cleaners. By definition vapor steam cleaners which are also known as dry vapor steamers are steam cleaners that heat up the water so much that the steam produced is extremely hot. This hot steam compared to steam produced by many reviewed steam cleaners else where on this website is less dense in water. In other words it has less water in it. It is actually scientifically measured to have 4 to 6 percent water. This has been discovered to be of particular importance in the time ones takes to clean and the time it also takes for cleaned surfaces to dry up. Carpets, upholstery and other fabrics cleaned with a dry vapor steam cleaner tend to take much less time to dry out compared to surfaces cleaned by an ordinary steamer. Moreover dry vapor steamers leave to streaks. This is one of the most annoying aspect of steam cleaning at household level. It can be noted here that due to a variety of methods used to market products, not every steam cleaner us arguably a vapor steam cleaner system. Many of these products even though they produce steam, the steam is often not anywhere near vapour steam because the steam produced is not that much hot at all. A genuine dry vapor steam cleaner is designed to heat up tap water used to between 240 to 310F or 115-155 Degrees Celsius. These are extremely hot temperatures that produces steam so hot it can get rid of bed bugs, dust mites and can even sanitize surfaces. The hot vapor is effective is cleaning grout, stains and other tough dirt deposits as it can easily weaken the bond and cause the dirt to be easily wiped off by a cloth after the steaming. An important tip when in search for the hottest steam from your steamer is to connect the shortest attachment. Long attachment cause the steam to cool down as it travels down the long hose. This has been proven in a comparative process with steam as hot as over 250 degrees cooling to as low as 115 degrees after traveling the full length of a long hose. This is the disadvantage of canister steam cleaners compared to up-right steamers which can be shortened. 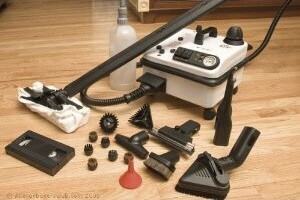 Vapor steam cleaners do not rely on chemicals and detergents to remove dirt. The vapor itself is effective to deal with dirt thereby making these products favorite green products for many households and people who suffer from detergent allergies. Many models under well known brands have this particular problem of leaving a streak of dry water that appears when the surface dries up. It also happens even with some pressure washers. 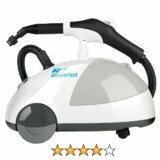 Vapor steam cleaners reviewed on this page are designed to take care of this problem and present you with more excellent results compared to an ordinary steamer or a deceivingly promoted or advertised vapor steamer. This is the reason behind the growing popularity of genuine dry vapor steamers. It is apparent that more and more manufacturers are going to recommend that their materials be cleaned with a dry vapor steam cleaner for best results and longevity. The Vapamore MR-100 is a popular vapor cleaner amongst household users. 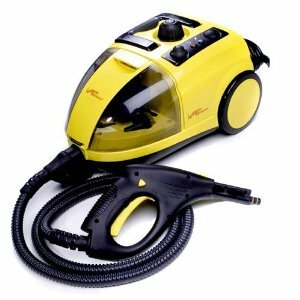 It is distinctly different from many brands of steam cleaners such Bissell, Dirt Devil, Monster, Hoover and others.This particularly steam cleaner is a dry vapor steamer which means it releases extremely hot vapor which is effective in cleaning, sanitization, disinfecting and amongst other things. It is a particularly effective steamer when it comes to dealing with dust mites and bedbugs simply because of its high temperatures. Despite having been an disappointment to some home users, overall it enjoys great ratings and reviews. Using a short attachment the steamer will give you the hottest vapor which is dry meaning it is less dense in water. This allows your surfaces to dry quicker. It has been praised for being an effective grout cleaner. This again is linked to the short attachment required when cleaning grout. This gives maximum temperature which loosens the dirt. These same result appear to vanish when it is used to clean floors. Floor cleaning will require a longer hose which has the disadvantage of cooling the steam in the length of the hose. This is can be so bad to an extent that the temperature of the vapor is cut by half compared to when using a short attachment. Some users have complained of the Vaparmore MR-100 causing wet floors. This is due to the fall in temperature of the steam by the time it comes out the long hose onto your floor surface. This unit is also not good for carpets. It is best used for bathroom, kitchen, sinks and tiles for grout cleaning. As mentioned you can use it effectively against bedbugs and dust mites. It maybe useful for sanitizing your carpet and other fabrics but cannot be relied on for thorough cleaning as would expect. The Vaparmore MR-100 uses no chemicals. It is particularly important to note that the steamer has a wattage of 1500w. This is significant as it follows that steamers with as high wattage likely produce dry vapor and are dry vapor steam cleaners. Looking carefully at this market will show that most steam cleaners advertised do not have this much wattage and are therefore disqualified from being vapor steamers.They hardly sanitize, kill bedbugs and dust mites and other microbes in as much a as the advertisements claim they do. The MR-100 sells for about $300.00 and is therefore on the higher end. The Ladybug XL2300 is a professional up-market vapor steam cleaner that has found a place in the hearts of countless home owners. It is admittedly a pricey option of all the available steam cleaners. However, it is genuinely a dry vapor steamer which contains very little moisture in the emitted vapor. It is the first option for many people who eventually buy the Vapamore above hindered often by its price which is above $1300.00. The list is endless that many people have found satisfaction cleaning. Due to its low moisture levels in the vapor, the Ladybug can do your walls, ceiling and other sensitive surfaces without causing any damage. This cannot be achieved with a steamer high in moisture it will leave your walls stained, indeed worse off than before. Hardly known by many users is also the ability of the Ladybug dry vapor steam cleaner to destroy the annoying weeds that grow in between the pavers. You can easily blast them off with hot vapor. 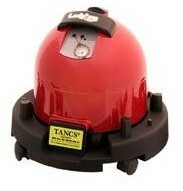 This appliance can also kill the mold that builds up in wet places or places with a lot of moisture around your home. Producing hot dry vapor of up to 285F the WhiteWing dry vapor steam cleaner is considered a genuine dry vapor steam cleaner which can sanitize your surfaces and kills dust mites and bed bugs on your mattresses. It can also effectively clean your tiles and remove stains from your grout. This vapor cleaner cannot be used on leather furniture in your home. You may however still use it on your leather upholstery in the car if you wish. This model also does your upholstery carpets and a variety of other surfaces using the accompanying set of cleaning attachments. Numerous owners of this brand agree that this is a high quality product which is sturdy and with sturdy attachments. Just as the Ladybug the WhiteWing vapor clean also cleans without any need for any chemicals. We highly recommend this vapor steamer. The price is on the high side at just over $650.00 but is worth the quality of product you get.